conducted by Jim McNeely (USA), with guests Fay Claassen (vocals, NL) and Bob Malach (tenor sax, USA). 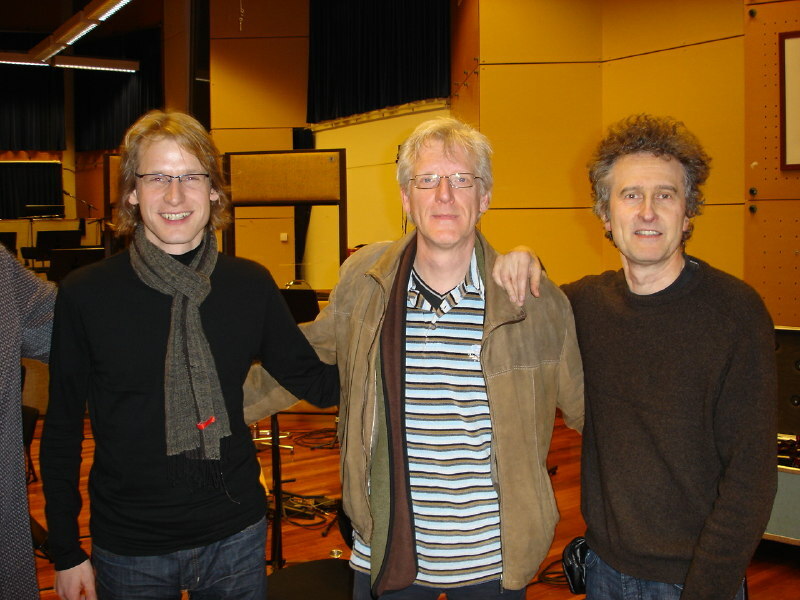 Here with Paul Heller (tenor sax, D, visiting) and Peter Tiehuis (gt, NL). A live recording of the memorable concert in Brussels has now been released on the double CD Crush. See Bernard Rosenberg's photos of the concert. Studio of the Dutch radio NPS, Hilversum (NL), Dec. 11, 2008.